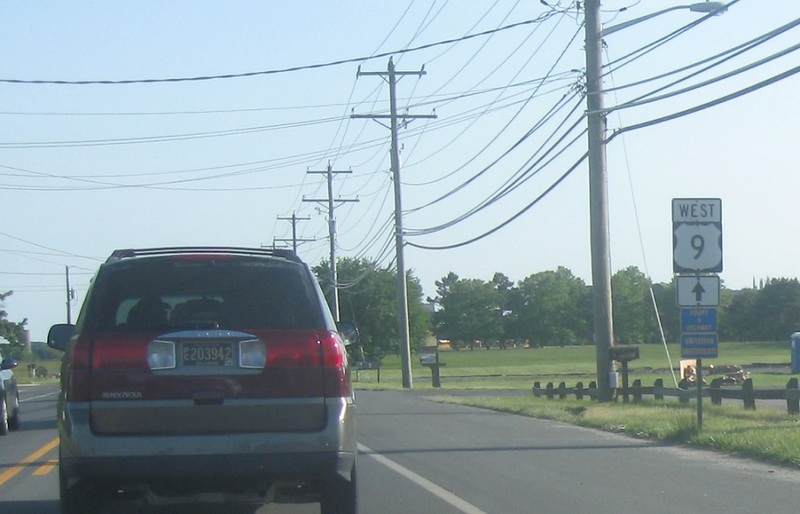 Detailed mileage sign after the turn. 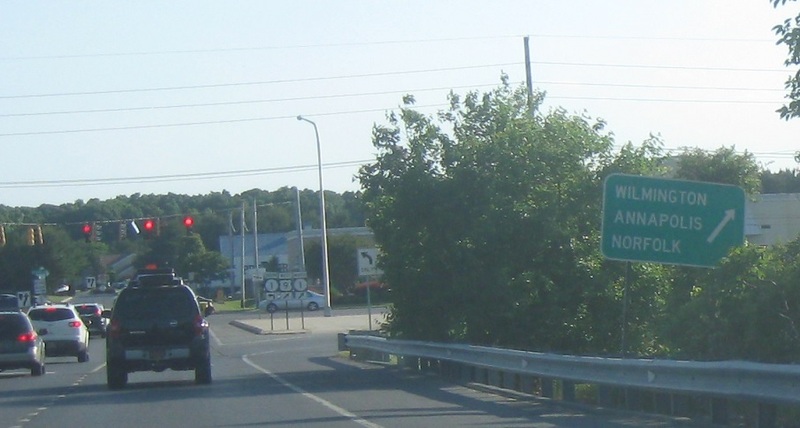 Reassurance shield a bit later as we skirt the south side of Lewes. 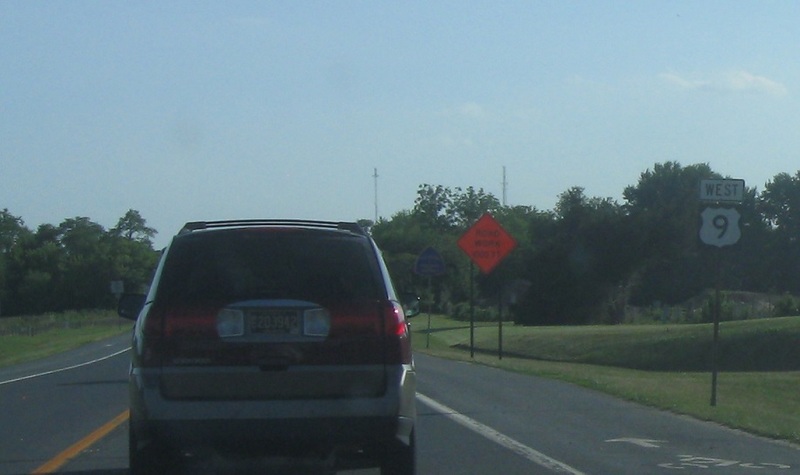 Just after that, keep right to stay on US-9 and head to DE 1. 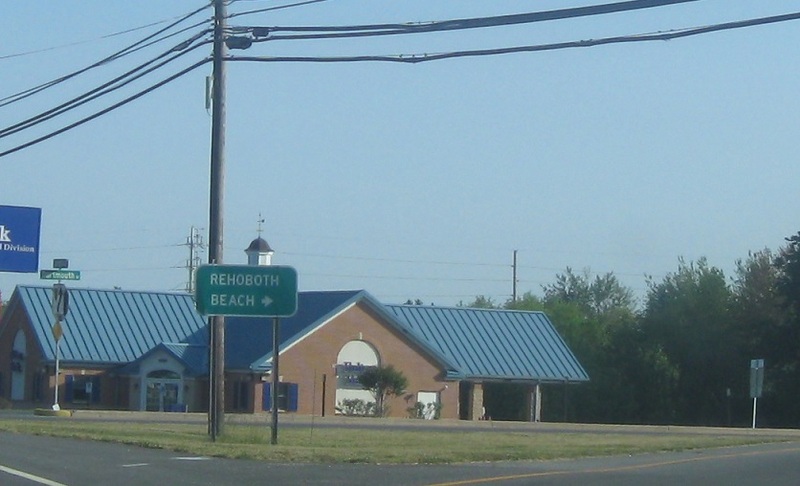 Follow US-9 to get to Rehoboth. Just after bearing right, we’ll approach DE 1. 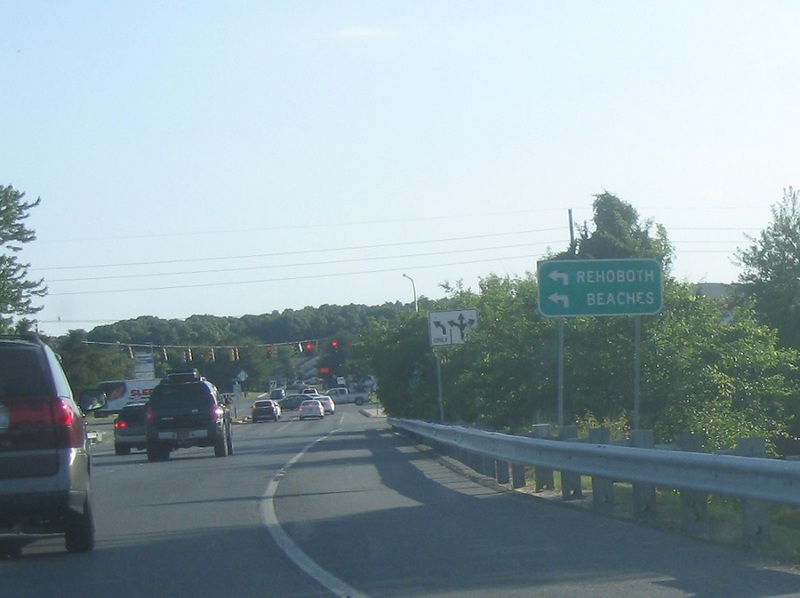 Follow 1 south to Rehoboth and various Beaches. 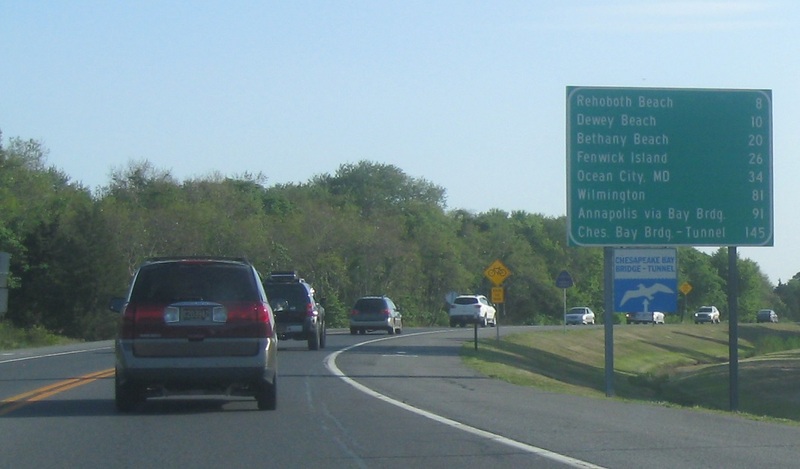 Follow US-9 west and DE 1 north for Wilmington, Annapolis, and Norfolk Va. 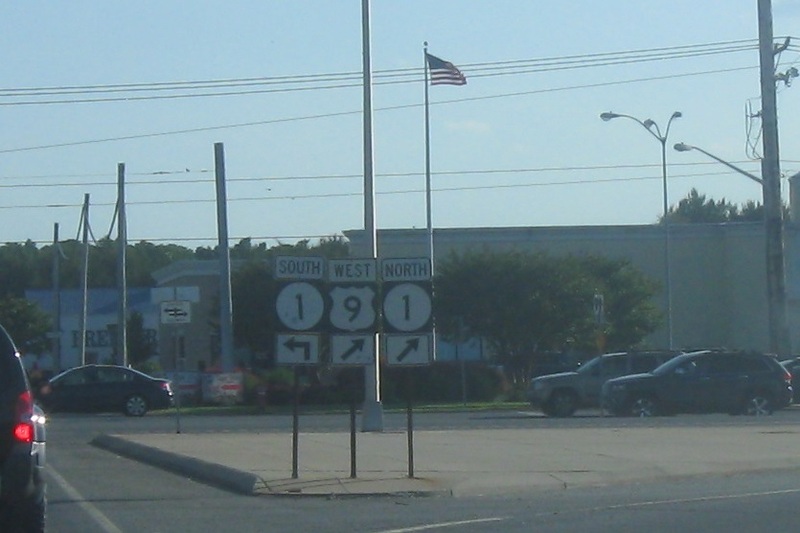 Turn left for DE 1 south. 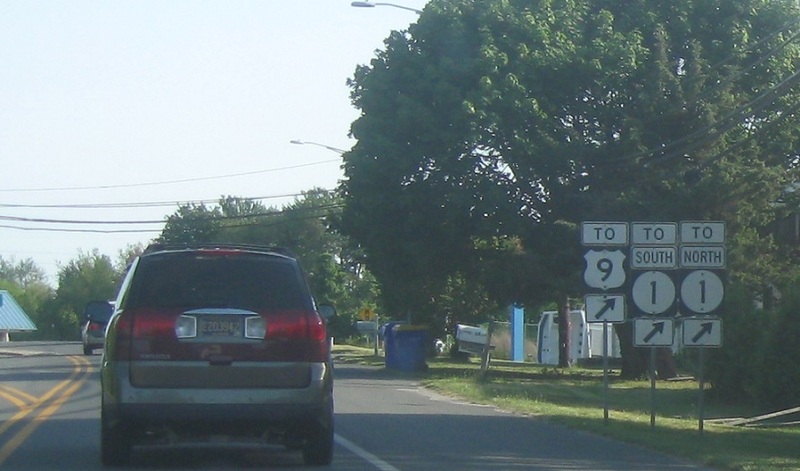 US-9 west joins 1 north back up into Lewes.